Whether you own a restaurant, a small tax filing service, or a high-tech startup, your business needs protection beyond that of a standard residential residence. A properly installed deadbolt, particularly when accompanied by a home security system, is a great way to keep your family and your home goods safe. However, most businesses call for a higher level of security than even that. 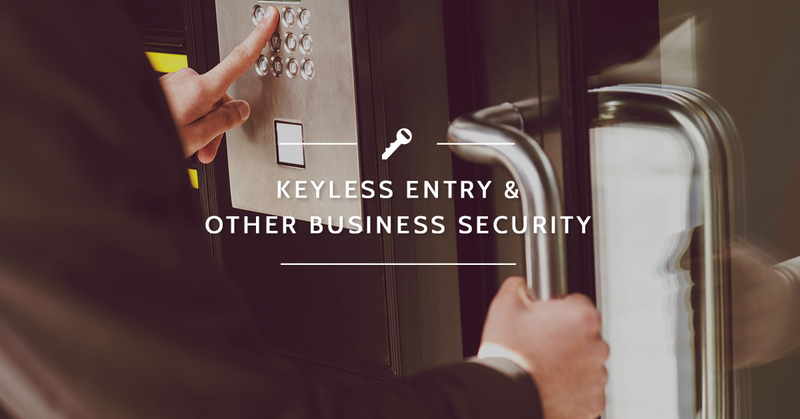 If you own a business in the Panama City Beach and Destin areas, try some of these measures to increase the security on your business without hampering your employees. The first measure you can take to secure your business is one we suggest when moving into a new (or new to you) home as well: rekeying all the locks on outward facing doors. 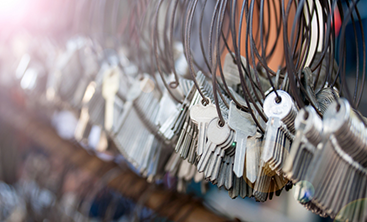 Rekeying locks is always a good idea because there is no way of knowing what the previous owners or renters at your business’ location did with all the keys they had, if they were all collected (or not), and whether any keys were duplicated by someone that was never mentioned. This means there could be half a dozen keys to your business floating around Panama City Beach without you knowing it. 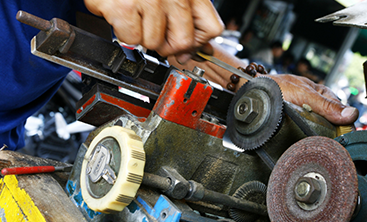 Rekeying the locks simply replaces the lock cylinder and means none of the previous keys will work anymore. While you’re at it, if you’re having your locks rekeyed, your local locksmith can take the time to ensure all locks were installed properly and giving you the level of protection you expect. However, if you want another layer of security, we suggest investing in a keyless entry system for your outward facing doors as well as any inside that protect particularly sensitive information. A keyless entry replaces the standard deadbolt and affords you an added layer of protection because it removes keys from the equation. Under this heading, there are two varieties keyless locks: push button and numbered keyless entry systems. Push button keyless entry is generally narrower and battery powered but may or may not connect remotely. This means you can change the codes and view a log of entries, but you will have to physically connect to the lock to do so. Push button keyless door locks are particularly great for narrow doors, as they come in both narrow and standard widths. With a number pad keyless entry, especially the variety that gets connected to a digital system via a wireless internet connection, you are given the opportunity to set your own entry codes easily. Generally, you can change those codes as often as you choose and, to give another layer of control, you can dole out different codes to for use by different individuals. This way, when you log into your system online, you can see a log of how often the lock was successfully opened, which code was used, and what time it was opened. 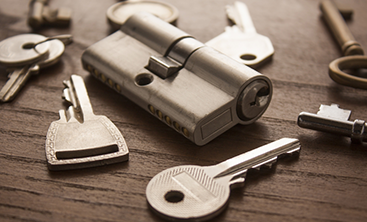 If you just moved your business into a new building or you’re ready to increase security, contact your local lock experts, the team at Destin Locksmithing to get started!